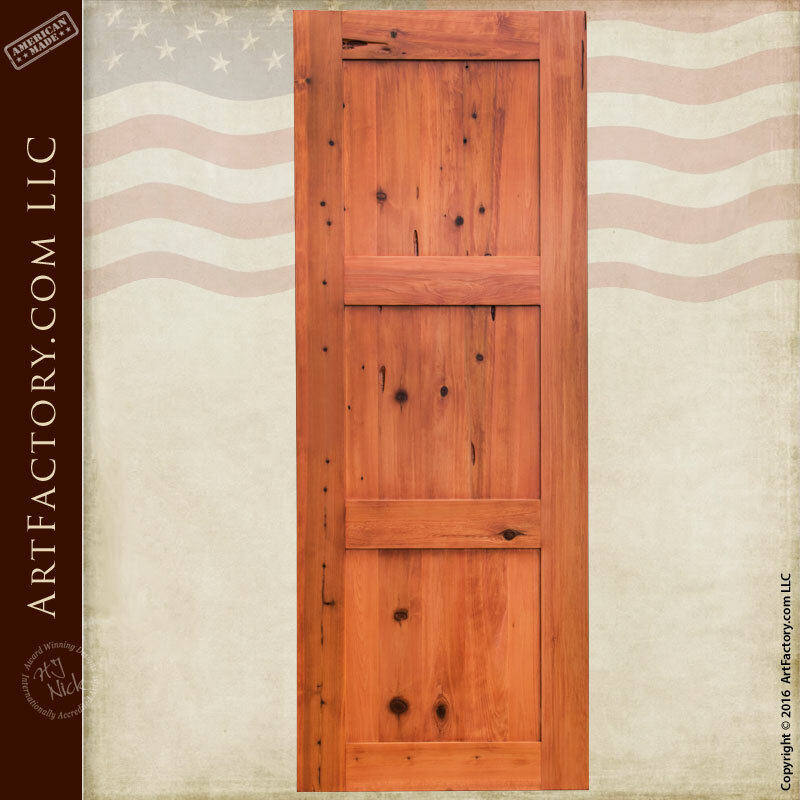 At ArtFactory.com, our space saving classic custom pocket door is perfect for areas where there's no room for the swing of a hinged door. Our custom wood doors offer the beauty of naturally preserved wood with the precision needed to fit your space. This pocket door will disappear seamlessly into any wall compartment. We've been building doors and furnishings since 1913 using old world techniques that most manufacturers skim over today. We're not about mass production and cheap parts each of our custom wood doors gets the energy and attention it deserves. Each solid wood interior door is thick, built to withstand any weather, and hand crafted from wood we source on our own lots. Best of all, every custom wood pocket door is guaranteed forever. For A Narrow Space Our Classic Custom Pocket Door Is Just The Thing! Classic design fits with any modern, rustic, or cabin theme. Warm cedar also brings out the colors in your home decorations. Our doors are an homage to the simplicity of design that endures over generations. Our dedication to old-world design and techniques means your door is a piece you can feel proud to own. Our master woodworkers hand cut, hand sand, and hand finished each and every custom wood pocket door to bring elegance to your home that is beyond compare. Don't delay giving your home the beauty of natural, solid wood it deserves. Call now at 1-800-292-0008 for pricing on our classic custom pocket door, or any of our other solid wood doors.